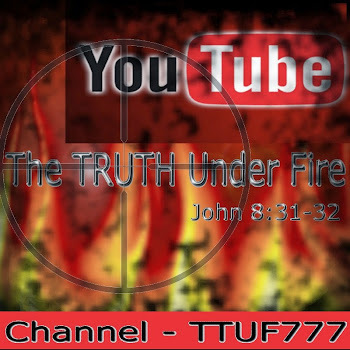 The TRUTH under FIRE: The Cross Is Not Necessary? The Cross Is Not Necessary? The warning against false teachers. Christ said, “Beware of false prophets which come to you in sheep’s clothing, but inwardly they are ravening wolves.” (Matthew 7:15). For every true prophet calling people to the narrow way that leads to life, there are a multiplicity of false prophets calling people to the broad way that leads to destruction. Christ’s warning [about false teachers] was not new. Deuteronomy 13:1-5 documents the presence of false teaching during the days of Moses. In Isaiah 30:9-14 chronicles its existence in the kingdom of Judah. There are many warnings about false teachers in Scripture. And the blasphemers keep blaspheming, such is the case of Emergent Church leader Tony Jones. In a recent blog post, Apostate Emergent Leader, Tony Jones, who, by the way, uses the term Christianity on his website as a means to deceive, answered a write in question from a young lady who had a difficult time understanding how a loving God would allow His Son to suffer and die on the cross for the sins of mankind. You won’t believe the response! How is the Cross’s necessity combined with the fact that only about 1/3 of the world’s population identifies as Christian/Believer a demonstration of the justice of a Loving God? Well, Elise, it’s a great question, and it’s one that’s on my mind a lot lately. I am thinking about writing a book on the death of Jesus on the Cross — its meaning and significance — even as I’m also writing a book on prayer. It’ll be kind of a book sandwich. You’re not exactly asking Why Jesus died on the Cross. In fact, your question is less about Jesus, and more about the very nature of God. You’re asking if God required Jesus’ death. No, Jesus’ death was not required in order for human beings to be reconciled to God. The classic conception of God is that God is capable of all things. Indeed, the most classic way conception is this: when people talk about a being that is capable of all things, we call that God. This is how Aristotle and Aquinas write of God, and it’s what I think of when I think of God. If there is a God, this God is capable of all things. Therefore, it stands to reason that God did not have to allow the death of Jesus to be the mechanism by which humanity and all of creation was reconciled to God. In other words, if you agree with me that God, by definition, is capable of anything, then you must also agree that God could have chosen another way to achieve reconciliation. Indeed, God could have chosen from an infinite number of ways. Indeed, God could have chosen to never allow the breach in the relationship in the first place — God could have stopped “The Fall” and thereby preempted any need for reconciliation. 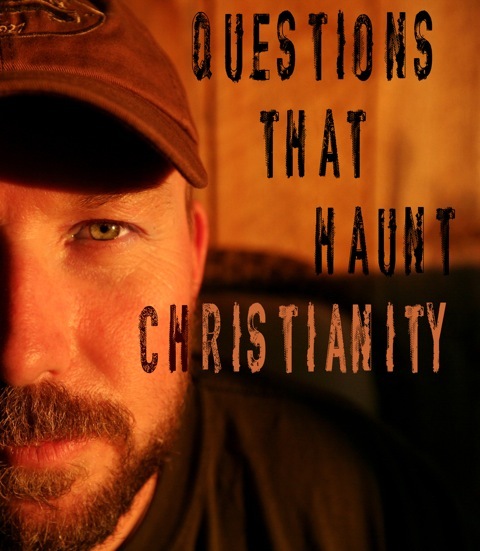 Your question betrays that you, like many of us, were raised in the shadow of Reformed theology. In those circles, it’s common to argue that God’s justice “demands” a sacrifice — since we’ve sinned, God “cannot” let us experience eternal life in his bosom. We “must” pay for our sins, and since we cannot, Jesus pays that price for us. I put certain words in rhetorical quotes in the previous paragraph because I reject them, just as I reject all language that implies that God is ever bound to do anything. I believe the God is one being in the cosmos who has complete and total freedom. God is the only non-contingent entity, anywhere, ever. - God was bound to ________. - God must do ________. - God’s character requires that he ________. You get the point. So here’s an internal conflict in Reformed theology. On the one hand, Reformed theology teaches that God is absolutely sovereign and can do whatever God wants (which I agree with). On the other hand, Reformed theology teaches that God’s sense of justice requires propitiation for human sin. As you can see, those two points are incompatible. As I’ve laid out in other posts — and hopefully in the forthcoming book — I think there are other reasons for the crucifixion that are far more beautiful, life-giving, and intellectually satisfying than the Reformed answer that Jesus death was in any way required. So I ultimately agree with you: it’s very troubling to think that Jesus’ death was required. In fact, it’s theologically incompatible with a traditional view of God. Therefore I urge you to reject that notion. First let me say this, any “pastor” claiming “Christianity” who denies the cross is a LIAR, a DECEIVER, A WOLF and THE ENEMY OF GOD! Secondly, there is only one answer, a Biblical one. It appears that Tony Jones has an axe to grind with Reformed Theology…this is not a part of the question. So my response will not deal with this aspect. I will say that Word of God provides the answers to all of man’s questions…and it is source from which we will seek His truth. Was the cross necessary? Apparently God thought so, or He would not have sent His only begotten Son to this earth to die on the cross for our sins. I’m wondering Mr. Jones does not supply scriptural references for his claims? Perhaps because there is none! What does the Bible reveal about God? Is He bound to His own Nature? I would say yes! God can not contradict Himself because of His own nature. God’s purpose was to create a world in which His glory could be manifest in all its fullness. The glory of God is the overarching goal of creation. In fact, it is the overarching goal of everything He does. The universe was created to display God’s glory (Psalm 19:1), and the wrath of God is revealed against those who fail to glorify God (Romans 1:23). Our sin causes us to fall short of God’s glory (Romans 3:23), and in the new heaven and new earth, the glory of God is what will provide light (Revelation 21:23). The glory of God is manifest when His attributes are on perfect display, and the story of redemption is part of that. Mankind’s great dilemma is SIN! Adams disobedience to God brought sin into this world and Romans chapter 5 tells us that sin and the punishment for sin (death) entered the world by one man, Adam, and so was passed down through his seed upon all men. 12 Wherefore, as by one man sin entered into the world, and death by sin; and so death passed upon all men, for that all have sinned: 13 (For until the law sin was in the world: but sin is not imputed when there is no law. 14 Nevertheless death reigned from Adam to Moses, even over them that had not sinned after the similitude of Adam's transgression, who is the figure of him that was to come. Yet, God had a solution from the beginning of the world. 15 But not as the offense, so also is the free gift. For if through the offense of one many be dead, much more the grace of God, and the gift by grace, which is by one man, Jesus Christ, hath abounded unto many. 16 And not as it was by one that sinned, so is the gift: for the judgment was by one to condemnation, but the free gift is of many offenses unto justification. 17 For if by one man's offense death reigned by one; much more they which receive abundance of grace and of the gift of righteousness shall reign in life by one, Jesus Christ.) 18 Therefore as by the offense of one judgment came upon all men to condemnation; even so by the righteousness of one the free gift came upon all men unto justification of life. 19 For as by one man's disobedience many were made sinners, so by the obedience of one shall many be made righteous. 20 Moreover the law entered, that the offense might abound. But where sin abounded, grace did much more abound: 21That as sin hath reigned unto death, even so might grace reign through righteousness unto eternal life by Jesus Christ our Lord. The Bible declares, “For all have sinned and fallen short of the glory of God” (Rom. 3:23). But the Bible also declares, “But God commends (demonstrated) his love toward us, in that, while we were yet sinners, Christ died for us” (Romans 5:8). Regardless of what liberals, modernists, and even atheists may say about Jesus, Paul admonishes, “…Let God be true, but every man a liar” (Rom. 3:4). To any honest person who will read the Bible, without preconceived ideas, the Scriptures declare and prove beyond a shadow of doubt that Jesus was very God, and yet He was true humanity. Jesus was God in the flesh, reconciling the world unto Himself; and if we refuse to believe that, we have no Saviour, we have no salvation, and we are hopelessly doomed to the lake of fire. Only God could provide the perfect sacrifice to atone for the sins of man. Jesus being fully God and fully man BECAME that perfect sacrifice for us. Jesus, the Lamb of God, who taketh away the sins of the world. “The next day John seeth Jesus coming unto him, and saith, Behold the Lamb of God, which taketh away the sin of the world” (John 1:29). “Who His own self bare our sins in His own body on the tree, that we, being dead to sins, should live unto righteousness: by whose stripes ye were healed” (1 Pet. 2:24). The spotless, sinless life of Jesus revealed what He was, displaying His divine qualifications to be the offering for sin. His spotless life proved Him to be the Lamb of God, because He was the only sinless one who ever lived upon the face of this earth. He was truly the Lamb without spot or blemish, the Lamb that only God could provide. And it was on the cruel cross of Calvary that He stood in the place where every sinner should stand because of his sins. On the cross Jesus met all of God’s righteous demands. He endured the wrath that was due every sinner because of his sin. Jesus, the spotless Lamb of God, took your place and mine, willingly, on the cross. It was there that He bore our sin and paid the sin-debt. Jesus shed His precious blood, that the atonement for man would be accomplished. Before the Lamb of God, the Saviour of Sinners, bowed His head and gave up the Ghost, He gave forth a cry of victory: “IT IS FINISHED!! !” John 19:30. The finished word of Jesus is so complete, so thoroughly accomplished, and in it God was so glorified, that on the merit and foundation of that finished work a sinless, Holy God is now able to save sinners and still be a righteous judge! He who is just, can justify the ungodly who deserve hell – but only on the merit of the finished work of Jesus on the cross! Jesus Christ suffered and died on our behalf, and Rose again from the dead conquering sin and death! This is the message of the cross…. Christ was delivered for our offenses, He has been raised again for our justification, and we know beyond a shadow of a doubt that He lives at the right hand of God the Father making intercession for all believers. Jesus is the Door of salvation . . . 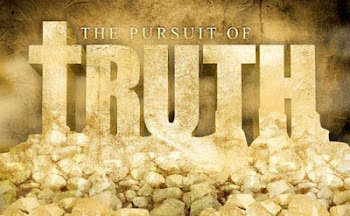 He is the Way the Truth and the Life! How could anyone could doubt the love of God, in that He provided Himself, the perfect sacrifice, to pay the sin debt for mankind, and through His resurrection our justification that we might be reconciled to him as sons and daughters and given the promise of eternal life? Our prayers are for those, like this young lady, who are being lied to by apostate teachers, and led to believe a false gospel that leads to damnation. The Cross is not only necessary, but is the only way of salvation! Without Christ's sacrifice on the cross, there would be NO remission of sin.